Hornets prey mostly on other insects, but unfortunately, they like to build nest in close proximity to humans. When provoked, they can be very aggressive. 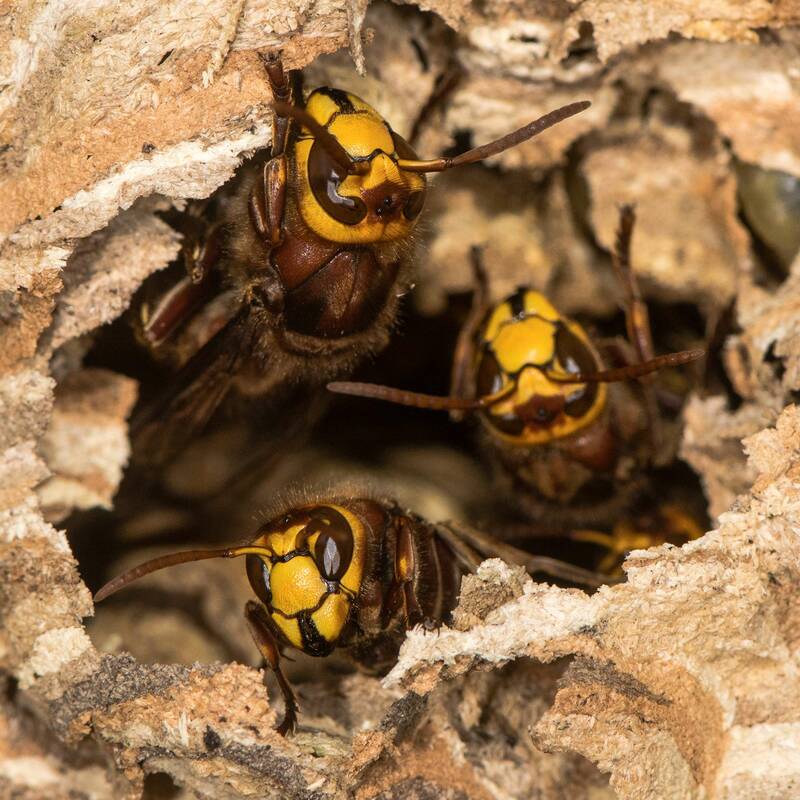 If you notice a hornet’s nest around your house or yard, get rid of the nest while it’s small. Dealing with large nests is difficult and can be dangerous. Purchase an aerosol can of Wasp and Hornet spray. If the nest is large, you may need two cans. Don’t rely on regular insecticide. Wasp and hornet spray is formulated for specific insects and sprays a strong stream for a distance of at least 15 to 20 feet (4-5 m.). Wear sturdy clothing and protective gear, including gloves, goggles and head covering. Stand as far from the nest as possible. 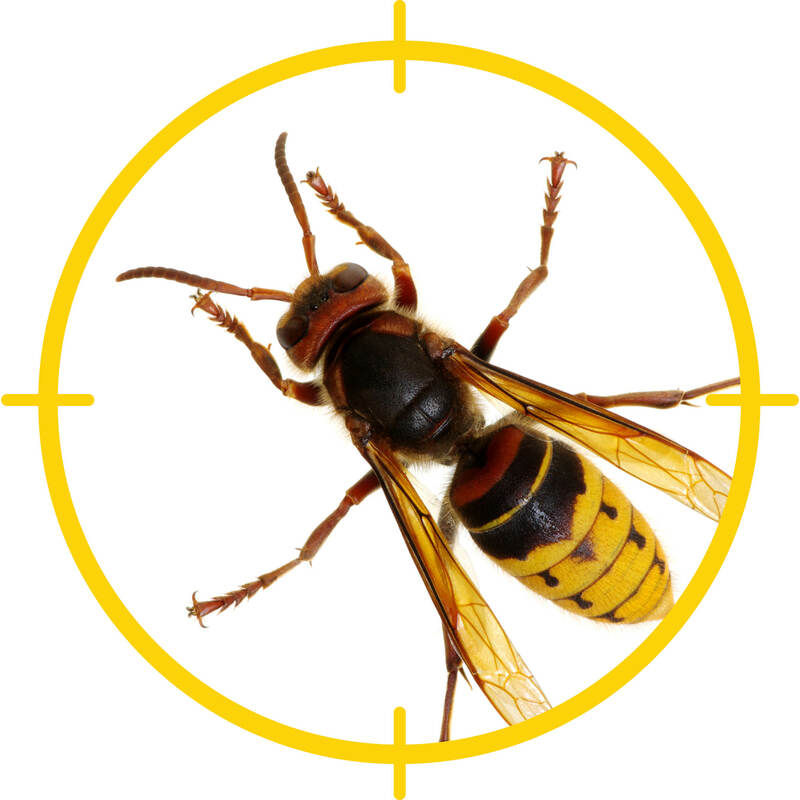 Spray hornet’s nests in early morning or late evening when the hornets are less active. 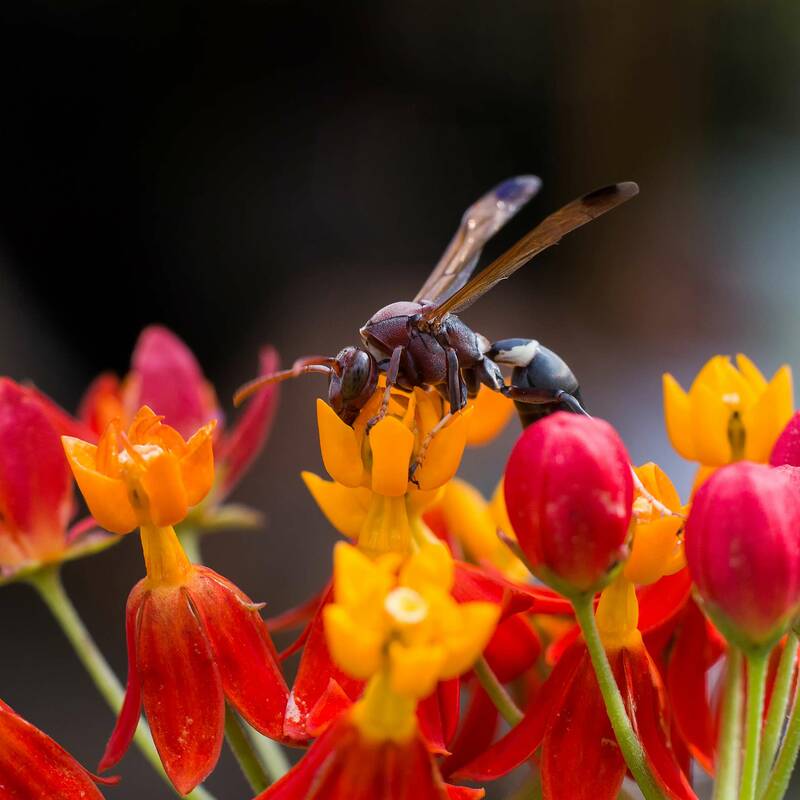 Wasp and hornet spray kills nearly instantly, but it’s best to leave the area quickly to avoid being stung. Be careful not to break open the papery nest during treatment. You definitely don’t want to release a swarm of angry hornets. Wasp and hornet spray has a residual affect and keeps working for several days. During this time, it will kill stragglers that return to the nest. Don’t knock down the nest until you’re positive all hornets have been removed. When you’re sure it’s safe, remove the nest and dispose of it in a plastic bag. Sometimes that best way to control these stinging pests is to trap them. Hang traps in areas frequented by these flying pests. Commercial traps are designed to entice the insects into the traps usually with a combination of fruit juice and protein (tuna or cat food). Some traps are provided with attractants. A vacuum cleaner is the most effective way to kill a hornet inside your house. Be careful about squashing the pests; they emit a chemical that may attract more hornets. You can also use an insecticide labeled specifically for indoor use. Hornets like meat and other high protein foods, including pet food. Store pet food in sealed containers and pick up uneaten food. Use plastic liners to keep garbage cans clean.